Delpha Elizabeth Gaume Gard, 96, of Canyon went home to the Lord on Saturday, March 23, in Canyon. A funeral vigil for Delpha will be held on Thursday at 6:30 p.m. at Brooks Chapel. Her funeral Mass will be at 11 a.m. Friday at St. Ann’s Catholic Church with Father Robert A. Busch, Ph.D. presiding. Burial will follow at Memory Gardens Cemetery in Amarillo. Delpha was born in Wichita, Kansas on October 22, 1922, the youngest of three daughters of Dr. Harry Wilfred and Sarah Elizabeth (Smithheisler) Gaume. Delpha graduated from Mount Carmel Academy in Wichita in 1940. She earned a bachelor’s degree from the University of Wichita in 1944. She worked for Vickers Petroleum Company off and on for many years, until 1964. In 1965, Delpha moved to Canyon to work at then West Texas State University in the Killgore Research Center. In 1968, she entered the University of Denver’s Graduate School of Librarianship. Delpha joined the staff of the West Texas State University Library at that time, attending graduate school each summer. She was awarded the Master of Arts degree in Library Science in 1971. Delpha worked in the library for nearly seventeen years and helped with the moving of library books from the WTSU Library into the brand new Cornette Library in January of 1974. Delpha became the Associate Librarian for Reader and Personnel Services in June of 1974 and served in that position until her retirement in 1985. She was an active member of the Texas Library Association for many years. Delpha was inducted into the Old Main Society at West Texas A&M University in 2006. After retiring from WT, Delpha delighted in traveling to many places in the United States, Canada, Europe, Asia, and the South Pacific. In her spare time, she enjoyed listening to music, her cats, and collecting Southwestern art. 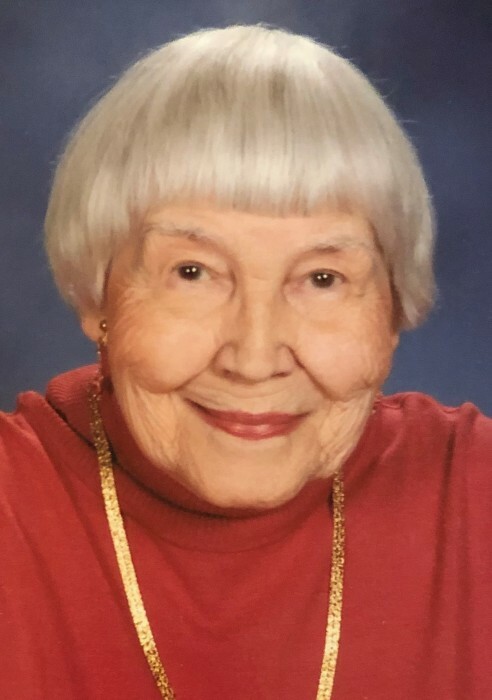 Delpha was a long-time member of St. Ann’s Catholic Church in Canyon. She sang in the choir, served as a lector, and was a member of St. Martha’s Circle. Delpha was preceded in death by her parents and her two sisters, Dr. Matilda Gaume and Sister Mary Virginia Gaume, BVM. She is survived by her cousins in Oklahoma; California; Alberta, Canada; and many devoted friends and colleagues. Delpha would love for any memorials to be made to St. Ann’s Catholic Church in Canyon, the Matilda Gaume Music Scholarship, the Elva Mae Deer Memorial Scholarship, the Bertie May Williams Memorial Scholarship, the WT Foundation at West Texas A&M University, the ASPCA or to your favorite charity.